Okay, how is Mavis already eight months old?! She’s growing up so fast! I brought her home at eight weeks old, and she was so tiny. Now she’s almost fully grown! 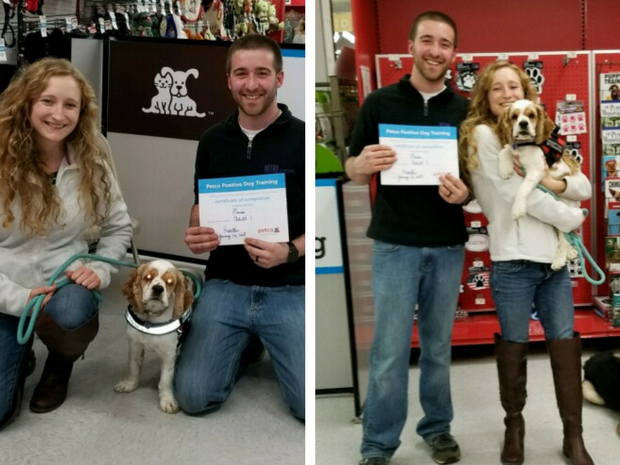 Mavis graduated Adult Level I training classes in January and moved on to Adult Level II! She is doing wonderful in her Adult II classes and continues to impress me with how fast she can learn. She now knows how to do “paw” and we are hoping to teach her other fun tricks along with her basic commands. 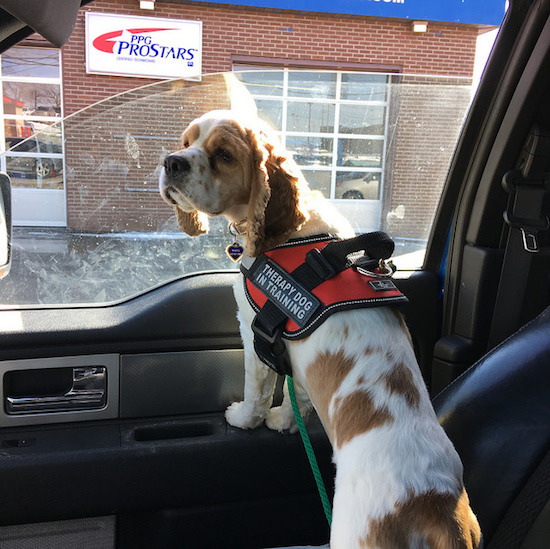 She has been practicing her training in different places like the library, bank, and stores to really keep her focus on meeting and interacting with people in hopes of working towards becoming a therapy dog. Mavis no longer uses her crate except to sleep in it at night with the door open. We now put her and Lola in our spare bedroom when we leave the house and we haven’t had any chewing or bathroom accidents. 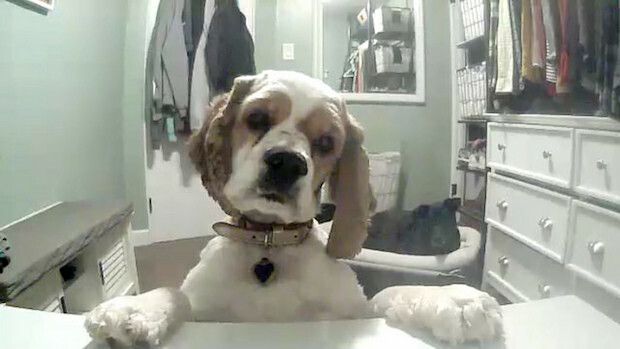 We watch and talk to them on the Petzi Cam and it’s adorable! She has been trying to counter surf! This is kind of funny because she’s so little, but man can she jump. She has swiped a few things off of our counters, so we really have to watch her. She’s still in that “teenage” phase of puppyhood and can just be really challenging sometimes! I have to remind myself that she’s still learning and growing. I was recently walking two other dogs with Mavis and her leash slipped out of my hand. She ran straight to one of my other clients’ doors, LOL. It gave me a heart attack, but it was also adorable the she remembered where her friend lives! Note to self: work on recall more. Mavis ran from me to try and see her golden retriever friend! She still hasn’t gone into heat yet, but I’m guessing she will before her first birthday. Now that she’s out of her crate at night, she tries to sleep on the bed with us. It’s cute, but she’s not allowed! She’s very social. She likes being with people and dogs. She plays really hard with all of my pet sitting clients and then crashes when we get home. She enjoys playing in the snow and tries to eat it. She loves riding in the car. She gets all excited when she knows we’re going somewhere. 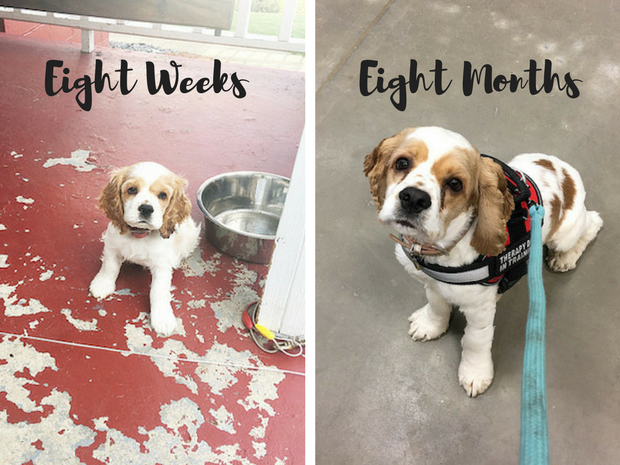 I think that’s everything for Mavis’ eight month update! She’s our wild, sassy, and fun little pup and we love her so much! Aw! Time def flies! I feel as if we just picked her up from Lew!!! She is so stinkin’ smart~ and adorable. I really wish I had trained Reggie better, as I feel he would have done well if we hadn’t given up so easily- and found a different non-nazi trainer. He’s definitely getting better, as labs do, but I wish he didn’t have so much anxiety… oh well, it’s his personality and I love him to pieces no matter what. 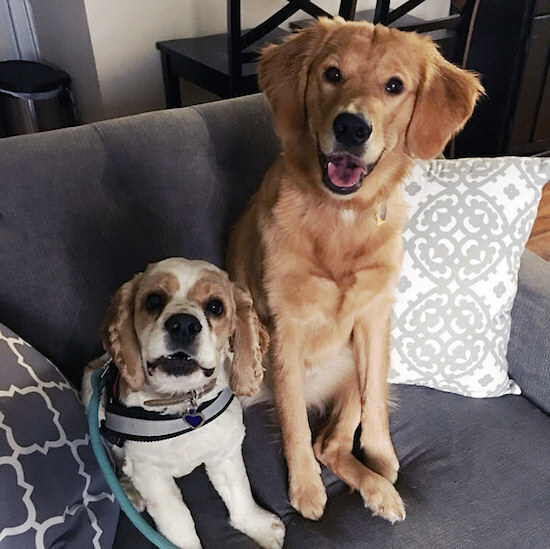 Thanks for loving Mavis so much and supporting us on her training journey! Love you! So sweet Allie thank you for sharing! Oh my gosh, she is getting so big!! Such a cutie. ❤ It sounds like she's really learning a lot and I'm impressed you can leave the crate door open at night. It seems like if Kona is out and I'm not watching her 24/7, she will start chewing and destroying something either expensive or irreplaceable. I'm pretty sure that if we let her free at night, we would wake up with no carpet and a hole in the wall or something, lol. And she's much older than Mavis, so good girl, Mavis! It’s crazy how fast she’s growing!! So funny about the chewing, just the other day I left her in our spare bedroom while I was out of the house and she chewed our wooden bench! So back to the crate it is, haha! !